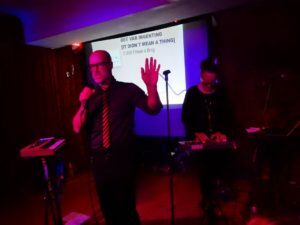 Luckily, ‘Non Stop Electronic Cabaret’ in London hosted by music and culture blog Cold War Night Life was nothing too normal and avoided all that. 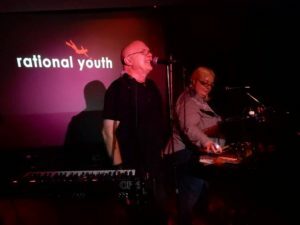 An event where quality prevailed over quantity, the sold-out show featuring an esteemed international line-up comprising of RATIONAL YOUTH, PAGE and PSYCHE was rammed from the minute that the opening act took to the stage of The Islington. With SOFT CELL playing what was billed as their final concert at the O2 Arena the following day, dark Canadian / German synthpop duo PSYCHE paid tribute Messrs Ball and Almond by opening with a fine respectful cover version of ‘Martin’. Featuring Darrin Huss on vocals and Stefan Rabura on synths, there was passion from the former while aided by a high quality sound system, the latter was able to get to work on a variety of hand played synthetic inflections. 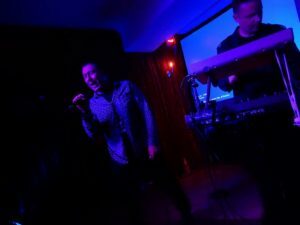 PSYCHE brought things up to date with their most recent single ‘Youth Of Tomorrow’ while the industrial Italo of ‘Uncivilized’ kept up the mutant dance tempos. Introducing ‘Truth Or Consequence’, the edgier B-side of ‘Youth Of Tomorrow’, Huss joked that it was getting more streams than the A-side, while an excellent reinterpretation of Q LAZZARUS’ ‘Goodbye Horses’ was appreciated by the PSYCHE faithful that had travelled over from Germany, Sweden, Finland and Italy for the event. A glorious ‘Unveiling The Secret’ from the 1986 album of the same name concluded a wonderfully engaging set. Swedish poptronica exponents PAGE were making their return to London after a successful live debut in 2014. More recently, the duo of Eddie Bengtsson and Marina Schiptjenko have been exploring their inner Numan via the EP ‘Start’, while an enjoyable trilogy of albums ‘Nu’, ‘Hemma’ and ‘Det Är Ingen Vacker Värld Men Det Råkar Vara Så Det Ser Ut’ have maintained their cult standing. Appropriately beginning with the ‘Start’ EP’s title song, the mash-up of ‘Tracks’ and ‘Metal’ partied like in was 1979. The catchy ‘Som Ett Skal’ from ‘Hemma’ and the glam Schaffel swing of ‘Ett S.O.S’ from ‘Nu’ kept the crowd moving while there was even a band clapalong on ‘Alla Som Väntar’. ‘Krasch’ kept up the thrusting Svensk elektronisk essence but closing their set early due to battery recharge difficulties, ‘Stör Ej’ took the Numan fixation to its zenith with the Compurhythm pattern from ‘Love Needs No Disguise’ appearing halfway through. 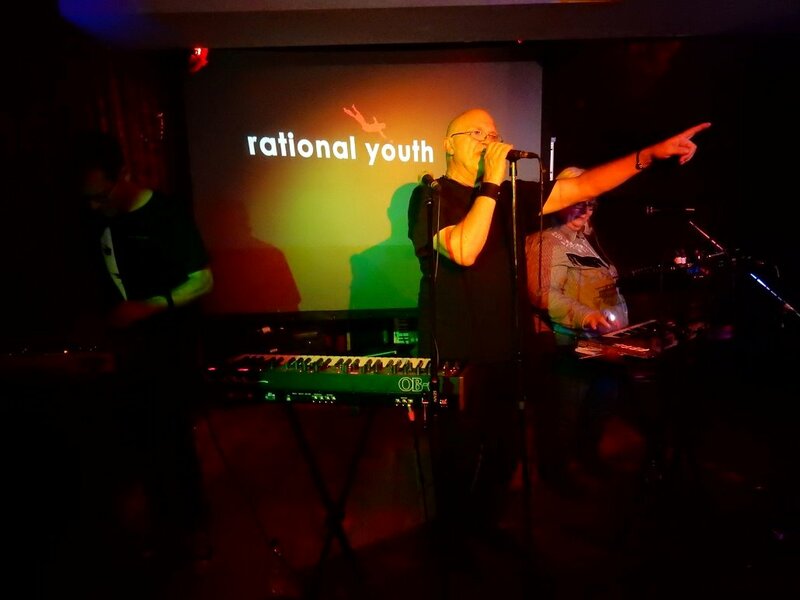 Canadian synthpop trailblazers RATIONAL YOUTH were making their first ever live appearance in the UK and mainman Tracy Howe was particularly fired up. Accompanied by his wife Gaenor on backing vocals and synths, the fitting political statement of ‘This Side Of The Border’ from 2016’s ‘Future Past Tense’ EP provided a poignant message for the multi-national crowd that was gathered. The stark ‘Dancing On The Berlin Wall’ from the ‘Cold War Night Life’ album (which the event hosts were named after) recalled a time when there really were divisive physical walls, while the midlife angst of ‘Here It Comes Again’ said it all! Possibly RATIONAL YOUTH’s best known song, the intense electro drama of ‘Holiday in Bangkok’ provided one of the set highlights, although the sense of occasion got the better of Howe as he forgot some of the words. One-time member Dave Rout, now of TECHNIQUES BERLIN, joined the duo on synth for a rendition of their co-write ‘Energie’, while closing a spirited set, two ‘Cold War Night Life’ evergreens ‘City of Night’ and ‘Saturdays in Silesia’ more than satisfied the now very sweaty crowd who had danced from the beginning of the evening. 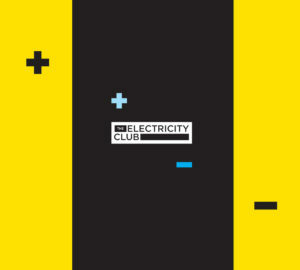 The Electricity Club often goes on about how the best electronic music events are curated by electronic music fans and Cold War Night Life did it again with their ‘Non Stop Electronic Cabaret’.